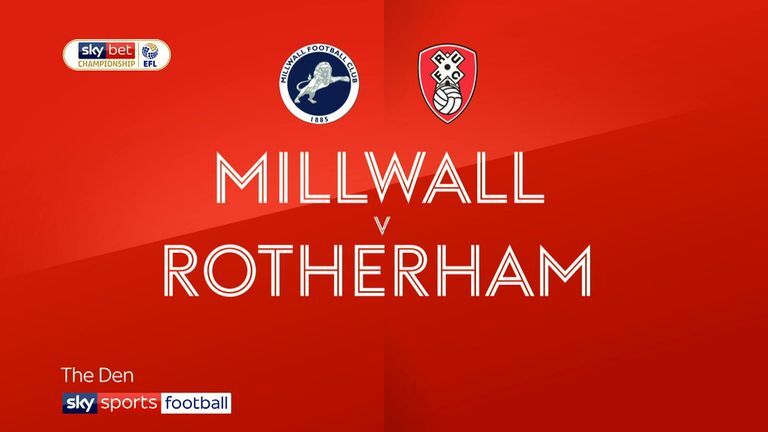 Rotherham picked up their first away point since the start of December as they held Millwall to a goalless draw at The Den. 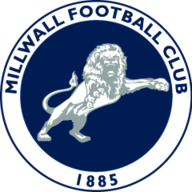 Millwall came into the game on a high after their dramatic FA Cup defeat of Everton, but never really threatened to take all three points, apart from efforts at the very start and end. In fact, it was the visitors who looked the more likely to win for much of the game, but Michael Smith missed two excellent opportunities early in the second half, and with them spurned the chance to lift the Millers four points clear of the relegation zone. 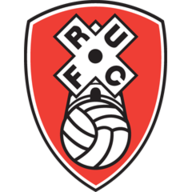 Rotherham boss Paul Warne switched to a back five in an attempt to turn his side's away fortunes around - the Millers have not won on the road all season and have picked up just four points away from home. And it proved successful, with Millwall failing to break down their visitors, and largely limited to chances from set-pieces. The closest the home side came to a goal was after just 90 seconds, when Ben Marshall's 25-yard shot clipped the top of the bar, while Mahlon Romeo had their only shot on target before the break, a volley from range that was straight at Marek Rodak. Twice Millwall went close from corners, but neither Jake Cooper nor Marshall could hit the target when deliveries found them free inside the six-yard box. Rotherham created precious little of their own before half-time, a tame Clarke Robinson header from a corner their best effort in the first 45 minutes. But things improved for the visitors soon after the break and they had much the better of the second half. 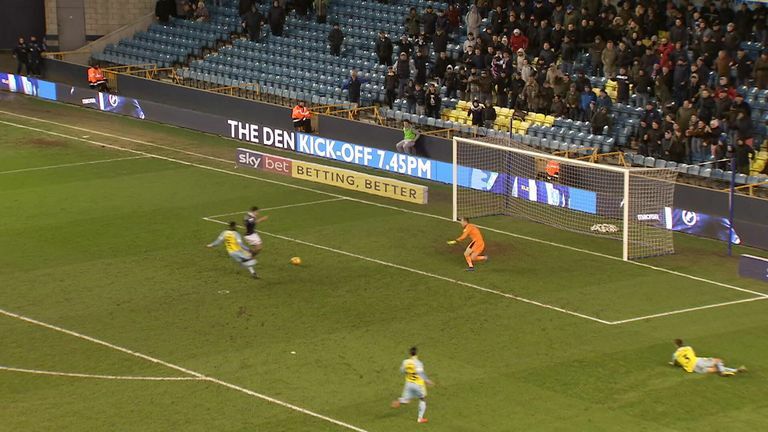 First Semi Ajayi went close, firing narrowly over the bar when the ball dropped to him from a long throw, and then Smith seized on some hesitant Millwall defender, only to be denied by Jordan Archer when clean through on goal. Seconds later Smith had another golden chance to put the visitors ahead - Archer flapped at a cross, the ball dropped to the striker, but his shot was blocked on the lie by Marshall. The scramble that followed descended into a brawl but only after Archer had safely secured the ball. Millwall barely mustered a shot in the second half, although Clark Robertson very nearly headed into his own goal under very little pressure nine minutes from time, and Marshall looped a header just wide late on. However, the hosts should have won it with the final kick of the game, Jed Wallace racing clear and squaring for Lee Gregory, who somehow missed the target from six yards. Neil Harris: "I think most people came to the ground today expecting after the Lord Mayor's Show. I'm sure that would have been part of their team-talk after the performance and atmosphere last week. But I thought first half we played some really good stuff against a very difficult opponent to play against. First half I was relatively pleased and thought we'd go on and boss the game. "In the second half we were poor, we weren't brave enough with the ball. I thought we could have controlled possession a little bit better than we did, we never really got sustained pressure on their goal, and that's the disappointment for me. I'd rather look at the positives, it's 11 points from six games, rather than look at the performance in the second half and the chance we missed at the end." Paul Warne: "I think if they hadn't had that chance in the last few seconds I'd probably be a little bit disappointed, but I'll be honest a draw's probably a fair result for both teams. The first half was poor, devoid of any clear-cut chances. The second half was a lot better. "Both teams, the players on the pitch give everything they have for both managers, in that respect it was good. On clear-cut chances, we might have edged it, but unfortunately, we didn't take them."